The music is going, the students are dancing. This is how Desiree Sessions' kindergarten class likes to get the day started. "We sing a lot of songs, a lot of movement, different chants," said Sessions. "And because I'm so dramatic, I make up things!" Their attention span may be short, but Sessions says their love of learning is endless. "They're so impressionable. Everything is exciting to them," she said. Sessions started teaching at New Town Elementary School when it opened in 2001. She knew at a very young age that teaching is what she was meant to do. "I would play with my friends and they would tease me because they said I would never be a student, I always had to be the teacher," she said with a laugh. One of the reasons she loves to teach kindergarten is because she says the kids aren't aware of their limits. She sees it as her job to encourage them to reach for the stars. "That's what I want to instill in them that they can do anything," she said. "And to help them to believe in themselves." And she instills that same confidence in the older students who are in her drama club. Sessions writes the plays and weaves educational elements into each one, like messages about anti-bullying or history lessons. What brings her the most joy is to see a shy student come out of his or her shell on stage. "It is so rewarding to see how the kids have grown and developed so many skills and confidence as a result of being part of the theater club," she said. Her enthusiasm for working with students in the classroom and in the theater is appreciated by every child, parent and teacher who knows her. "Mrs. 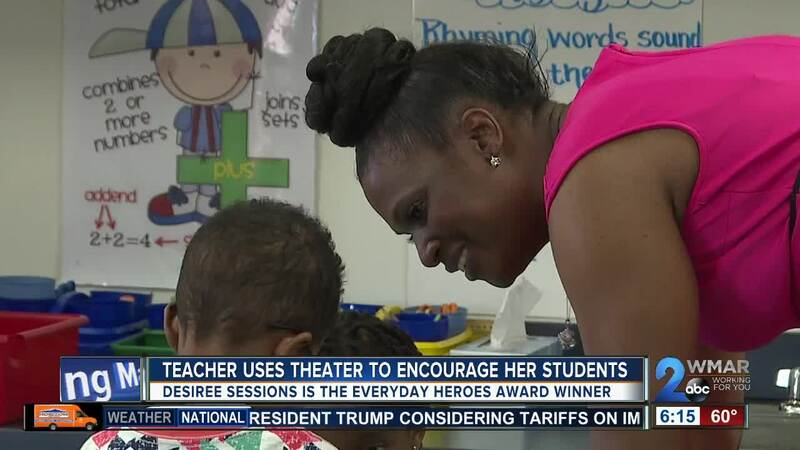 Sessions has a passion for teaching and learning," said Sharonda Gregory, the principal at New Town Elementary. "She finds creative ways to engage students on a daily basis, and in Mrs. Sessions classroom, students feel part of the community." Sessions has been in the same classroom at the same school for 18 years, so it would lead some to wonder if she's ready for a change of scenery. But she's not ready to give up her room, or her life's passion, just yet. "I can honestly tell you if its not children, I don't know what I would do. Because that's all I love." Click here to nominate a person for the Chick-fil-A Everyday Heroes award.